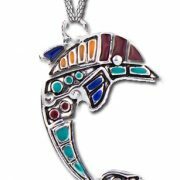 This is the ultra cute version of The Magic Dolphin Pendant! Measuring just over 25mm from top to tail, it’s perfect for those of you who like a more gentil piece of jewelry, but it’s just as stunning as the large version. 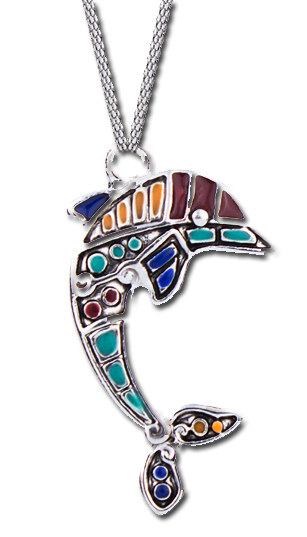 This pendant is beautifully coloured, but has no bead detail. It hangs delicately on a fine sterling-silver chain.